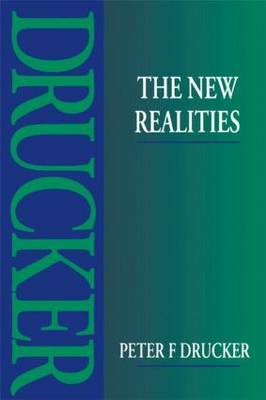 The 'new realities' of the title refer to the state of government, society and the economy in the USA, Japan, Western Europe, Russia and the Third World. With characteristic authority and clarity of style, Drucker attempts to define the concerns, issues and controversies of today which will become the realities of the future. Already the bestselling author of many books on management and economics, Drucker has innumerable followers. Now turning to address the changing demands of a post business society, the broad-ranging theme and vision of The New Realities will win him many more admirers.